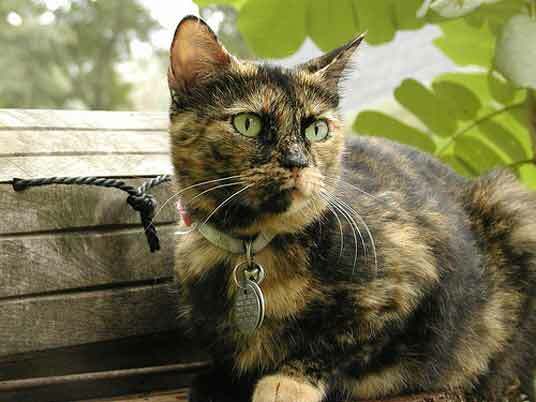 Facts: The tortoiseshell cat is also known as a Calimanco cat or Clouded Tiger cat. 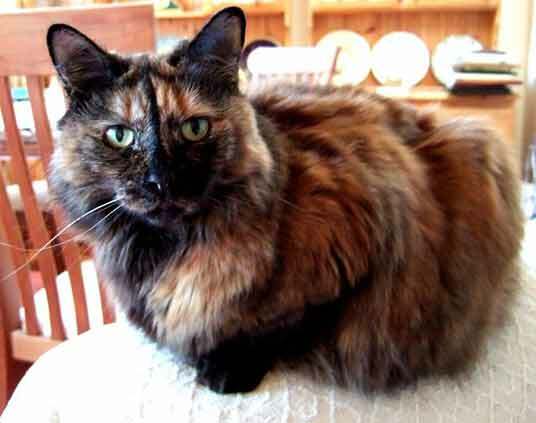 It also goes by the nickname "tortie". 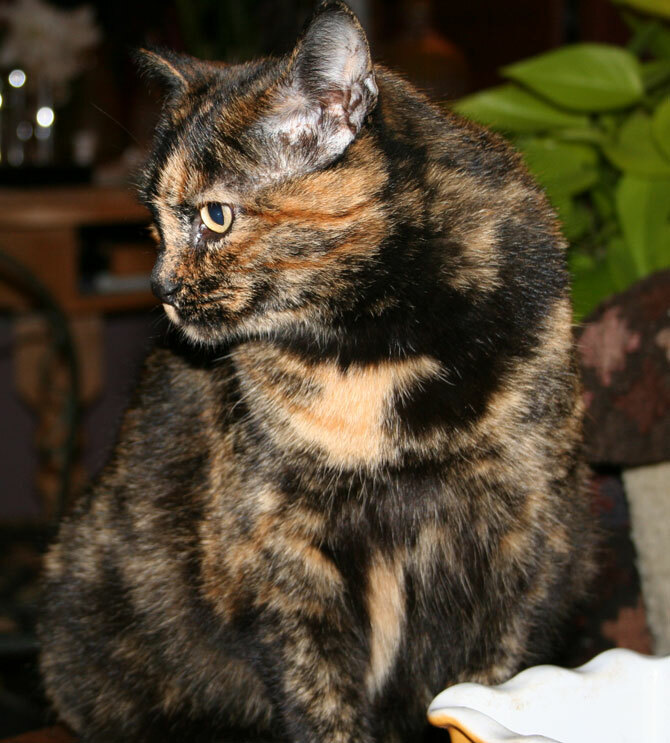 A tortoiseshell cat is randomly patched over with red (or a dilute form thereof), black (or a dilute) and cream, mottled throughout the coat. If there is a significant amount of white in the fur and the red and black colors form a patchwork rather than a mottled aspect, the cat will be called a "calico". 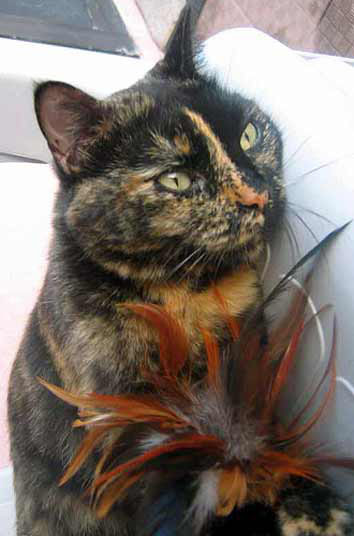 All calicos are tortoiseshell, but not all tortoiseshells are calicos .